Piso Fare Promo 2016: Finally! 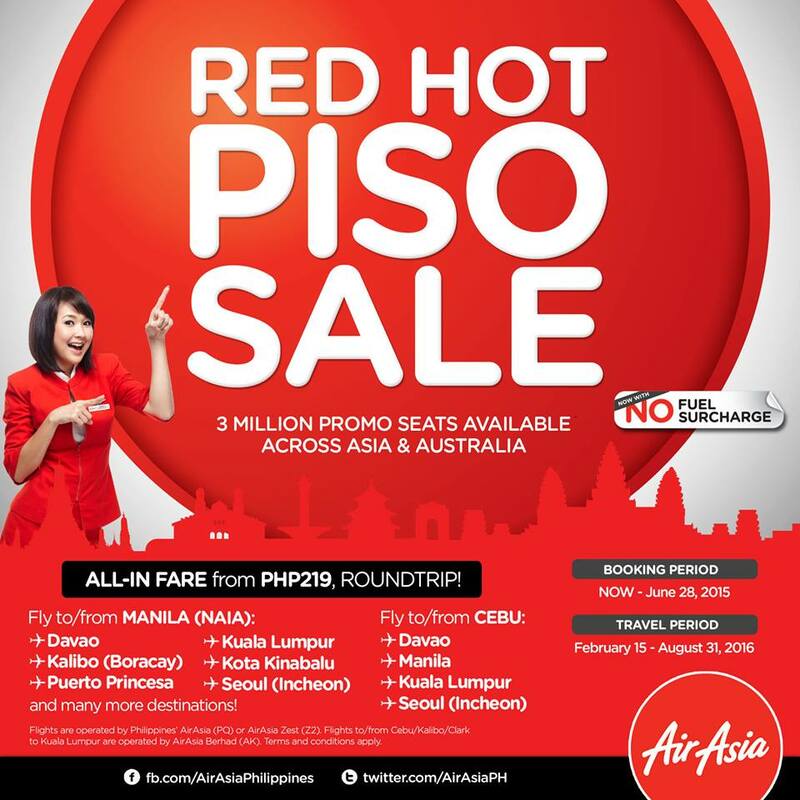 You can now avail our RED Hot Piso Sale! Plan early & book now for your 2016 travels at http://bit.ly/REDHotPisoSale, ALL-IN Fares start from as low as P219, ROUNDTRIP! How to book a round ticket here?